IDF locates factory in Palestinian Authority-controlled city of Shechem used to manufacture weapons. 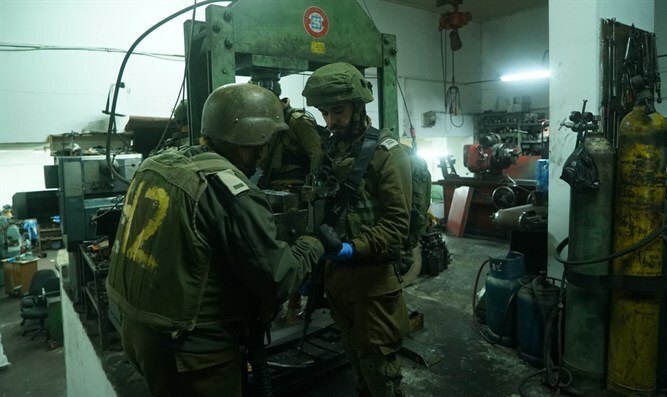 Israeli security forces operating in Samaria on Tuesday discovered a weapons factory in the Palestinian Authority-controlled city of Shechem (Nablus). In a joint operation of the IDF, Shin Bet internal security agency, and Israeli police, Israeli security personnel raided the factory, confiscating equipment and materials used to produce weapons, an IDF spokesperson reported Wednesday morning.